The pond provides great summer recreation for our campers. 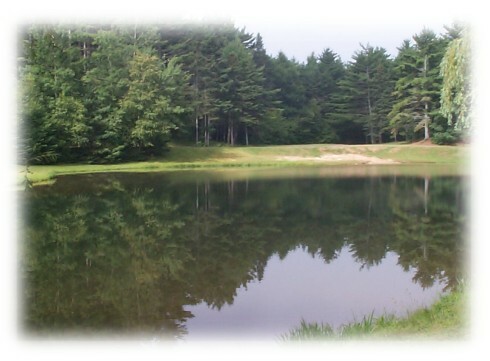 Though unsupervised, our guests use this large pond to swim, boat (non-motorized), or fish. Younger campers particularly enjoy chasing tadpoles and building sand castles on the beach. Our older guests find the pond a great place to sunbathe, walk, or bike on the campground lane which travels around the perimeter of the pond.